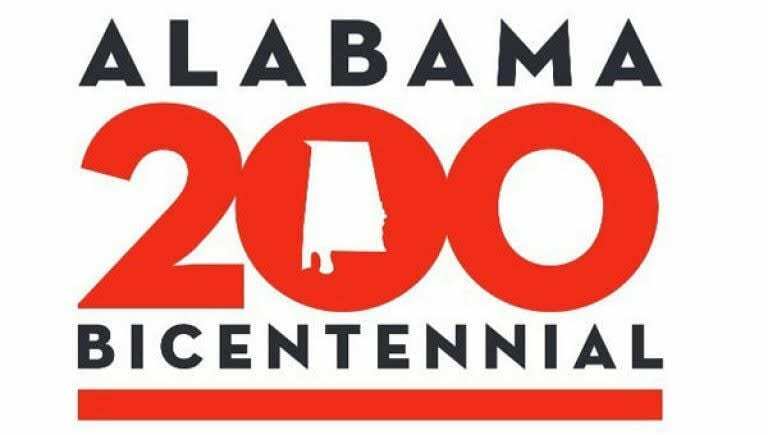 As we do every week we’ve curated what we think are your best bets for finding a little family fun (and joy) in Huntsville below but be sure to check out our full calendar if you don’t see anything you like below. If you’re staying in town for the school break, be sure to consult our Fall Break Camp list. It’s not too late to sign the kids up for some fun camps & classes next week! 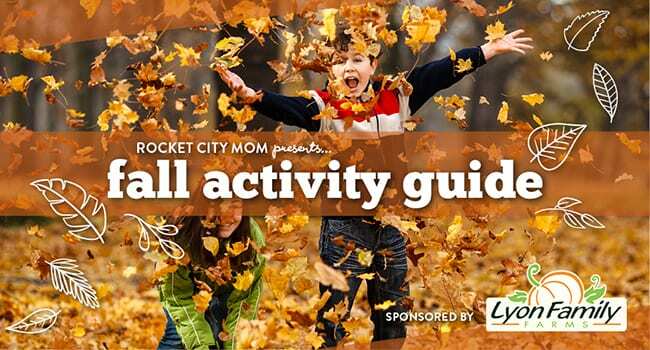 I think you’ll find our 2018 Fall Activity Guide pretty handy for next week too, especially since we just added all the Halloween events to it! Pop Up Parks + Video Games! Come out and play on 13 adorable mini-parks and explore downtown! Every Thursday night the Rolling Video Game Truck will also be on the Square for free! Snag some great Fall consignment deals at these sales this weekend! National and International Dealers will have gemstones, fossils, jewelry making materials and equipment, art pieces, and custom jewelry of every type and price. Bring the whole family! Kids can look for treasures in the gem dig, mining flume, and more. Guided ghost walks and trolley tours are a great way for your family to get into the Halloween spirit in October! Operation Green Team and Huntsville Fire & Rescue want to encourage families to replace the batteries in our smoke detectors! Free 9-volts, hot dogs, and snacks will be provided, and kids can meet fire fighters and check out the fire truck! Friday from 11AM – while they last! A free gourmet pop to the first 50 people to visit the downtown Frios location! One per person while supplies last. New Fall hours! Apples, tomatoes, eggs, milk, meat, flowers, artesian crafts, live music, and LOTS more fresh produce can be found at our favorite local farmer’s market. Can’t make it today? Find a market near you. Take a Hike with a Guide! Learn some Huntsville history with your guide, David Young, on this two hour moderate hike. Fall hikes with the Land Trust of North Alabama are kid & dog friendly, but you need to RSVP online in advance. Salsa dancing, delicious food, a DJ, and kids activities are just a few things going on at this annual celebration of Hispanic heritage! There will be multiple costume contests at this dog friendly event, dog centered games, and entertainment galore. This event will be haunted by cute dogs and scary costumes! Free to attend, pay to play. Your family can do some star-gazing with the pros on top of the mountain. It’s Astronomy Day this weekend – there will be outdoor hands-on activities from 1-5 PM offered by VBAS, as well as local science enthusiasts. Evening activities will kick off at 7 PM with a presentation indoors by former NASA Astronaut, Brigadier General Robert Stewart, USA, Retired, who will speak on his experiences aboard the Space Shuttle. Read our review before you go! Our friends at Rocket City Arcade are hosting a diaper shower to help local babies in need! Donate a pack of diapers and get half off an all-day arcade pass today! More info on the Great Diaper Drive. You and your family can take an easy stroll through beautiful wetlands preserved by Land Trust of North Alabama along Madison’s Bradford Creek Greenway. This one hour walk will begin and end at Palmer Park. Strollers, kids on bikes, and dogs on leads are welcome. RSVP online in advance. The Primms’ new house on East 88th Street has a big surprise – a crocodile in the bathtub! Your family is invited to a toe-tapping, finger-snapping musical as the Big Apple comes to the Rocket City! Presented by Fantasy Playhouse Children’s Theater. Recommended for all ages. 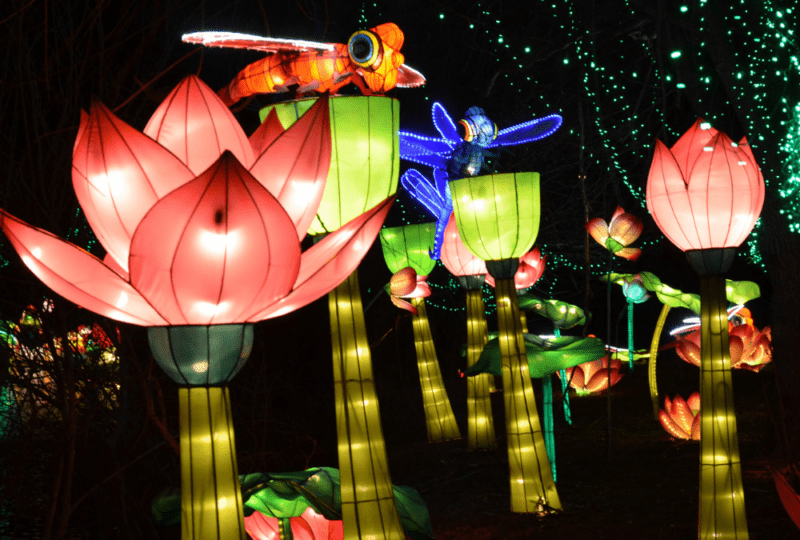 It’s our favorite season at The Garden and there’s so much for families to do there this weekend! This monthly hands-on activity emphasizes the development of “STEAM” (Science, Technology, Engineering, Arts and Mathematics). Today’s experiment? The science of S’mores! Recommended for ages 6-9. Read our review before you go! As you go on your weekend adventures, remember to use the hashtag #RCMEpicWeekend on Facebook, Pinterest, and Twitter. You just might win a cool RCM prize! We love to see families spending time together and making memories – why not win something while you’re at it? Check us out at 6:15 AM Friday mornings with Dan & Josie on 102.1 WDRM!